Why is the new sauna technology important? How do infrared saunas actually work? What benefits are associated with using infrared saunas? Traditional saunas have been around for centuries. Originally developed in Finland, saunas used hot stones to provide a heat source that was believed to provide healing powers. To make the experience more palatable, water was dripped on the stones to create steam that served to combat the dry heat existing in the saunas. While the system has worked successfully, a low EMF infrared sauna is rapidly becoming the new standard. Even though traditional saunas work, they have distinct disadvantages. Although people still enjoy the heat and the healing qualities of traditional saunas, they tend to dry sinus passages because of the high heat. That means users must exercise care to avoid staying in the chambers for long periods of time. Traditional saunas also present construction and maintenance issues for homeowners. The water use itself is a potential hazard for homes as is the high heat required. 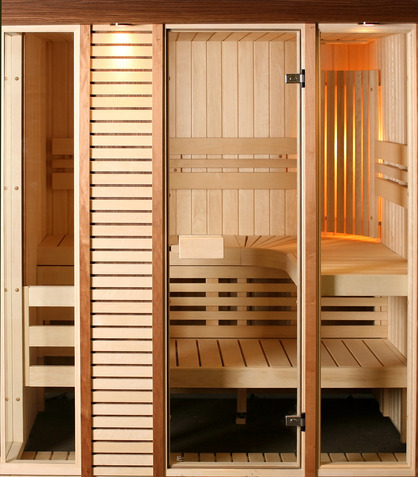 A new low or zero emf infrared sauna is easier to install and use in most environments. Opting for an infrared sauna also employs lower temperatures, which reduces any potential issues with health-related conditions commonly seen with traditional saunas. In other words, the newer infra red sauna designs incorporate all the advantages of a traditional sauna without the disadvantages of that design. As the name implies, infrared is a light spectrum that’s beneficial to the human body. Its properties allow users to experience something akin to sunbathing without the associated dangers. The light waves generated heat the warms the body without heating the surrounding areas. Not only is the process safe, it provides a plethora of benefits as the users’ bodies absorb the heat and sweat out harmful toxins they’ve accumulated. The short answer is no. EMF is simply a form of light ‘field’ everyone is exposed to every day. The wavelength used for saunas is considered harmless, meaning exposure to the particular wavelength is actually healthy for most people under normal conditions. Electrical and magnetic fields, or EMFs, are invisible to the human eye. They are (don’t panic here) a form of radiation. However, the wavelengths employed in infrared saunas don’t have the type of energy needed to cause any type of cellular or DNA damage in humans. In fact, the benefits experienced are well established through both anecdotal and research evidence. If users are ever concerned they may be exposed to a higher level of EMFs than is healthy can easily measure their exposer with a simple gaussmeter that’s readily available from retail sources. It’s also important to note, however, that pregnant women and young children should not use this type of sauna, as the effects of EMFs on growing bodies is somewhat different than the effects on adults. In addition to simply allowing users to relax and eliminate the stresses of daily life, a low emf infrared sauna is known to assist in weight loss efforts, pain reduction, and provide a more stable circulatory system. Of course, every user will experience different results, as no people are the same and their use of the devices will differ, but the point is that virtually everyone can significantly benefit from a regular health regimen that incorporates a relaxing sauna. This is an inexpensive (under $600) unit that offers a way for users to experience the advantages of an easy-to-use design without having to invest a great deal of money to find out if an infrared sauna really produces the claimed results. The model’s portability makes it an ideal choice for renters as well since there is no need for any permanent modifications to a structure to set up and use the sauna. This second example is a quantum leap above the entry-level DURHERM sauna. It’s constructed using quality, solid lumber, making it an investment that’s going to be around for a long time. It employs six heaters situated to provide even heat to multiple areas of the body. The easy-to-use controls allow users to easily define the temperature and duration of the sauna experience. Speakers allow users to enjoy their favorite music, further adding to the relaxing experience. While typically priced at roughly $2,500, the quality delivered justifies the price. This is the only model in the group designed for use by two people. At 480 pounds, it’s the heaviest of the group and also uses solid planks rather than lesser-quality wood products in its construction. Priced slightly less than $2,000, the unit offers affordability and the flexibility of a two-person capacity model. All of the selected models operate using a standard electrical outlet, which means there are no costly installation costs involved. That’s a huge improvement over traditional saunas that routinely require dedicated electrical and water sources. Any of the models above would provide a quality experience, but the last two models are definitely superior for users intending to remain in a property for some time. While they can be moved, they are heavy enough to require special handling. The first model mentioned is truly portable and can easily be moved from one location to another. This entry was posted in Portable Spas and Saunas on December 18, 2017 by Luke.